Grab your axes because we’re about to get chopping! 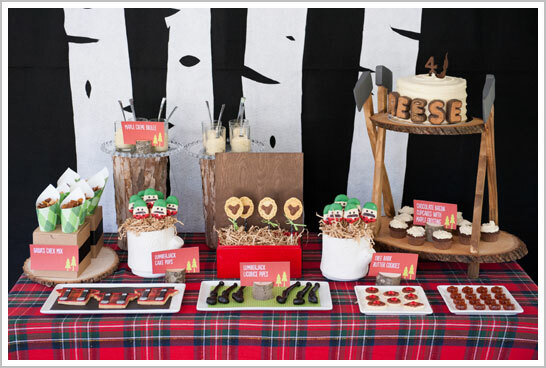 Today’s featured party is overflowing with creativity, thoughtful details and rustic manly-man charm. A perfect combination of axes and wood, served up with a giant portion of burly fun. It’s a lumberjack inspired party that is definitely more gorgeous than gruff. 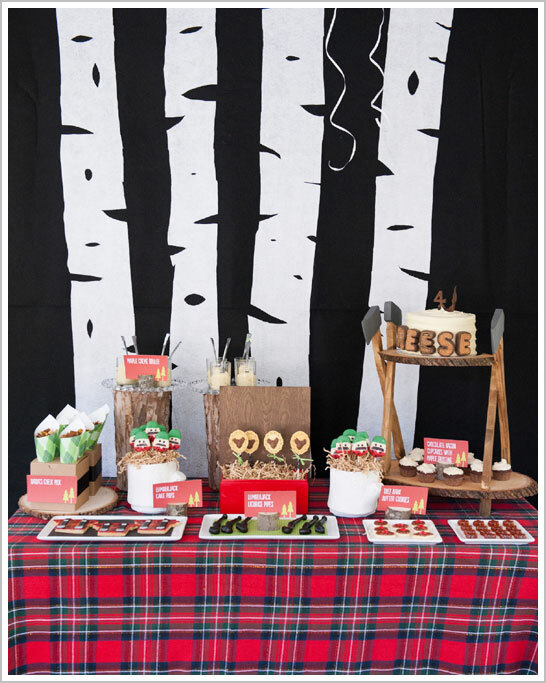 Red flannel plaid and craft paper brown unite while a bold birch tree backdrop sets the scene. So brawny-chic! With maple-infused goodies, oodles of pancakes and a sprinkling of bacon, this party is ready for the hungriest of logger men. Or… little men…. 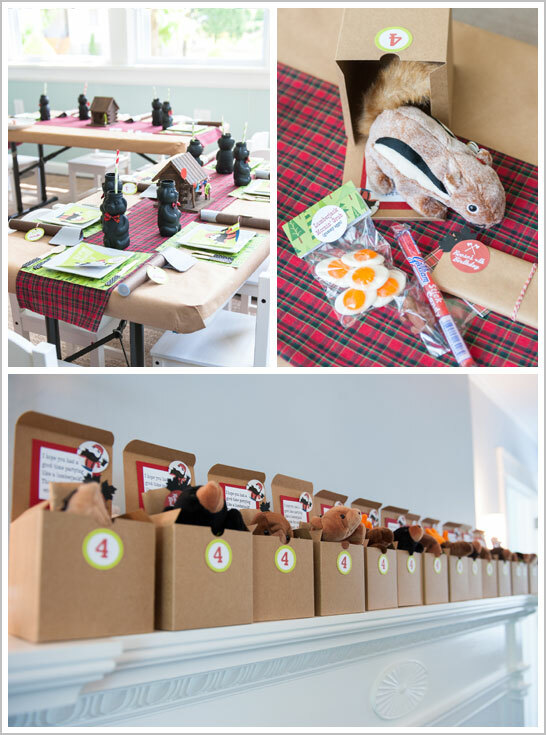 as it was styled and hosted by Dawn Menon of Bee*s Knees Parties for her son’s 4th birthday. 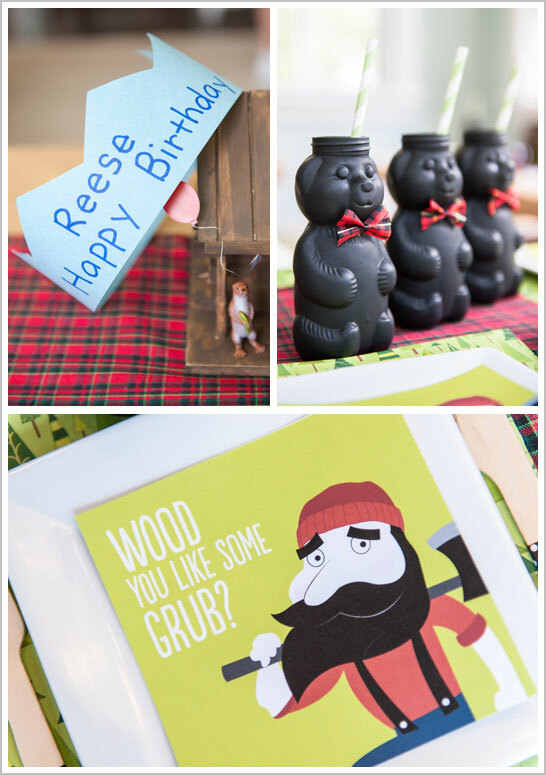 Wood you please join me in oohing and awing over this delightful Lumberjack Birthday Party! 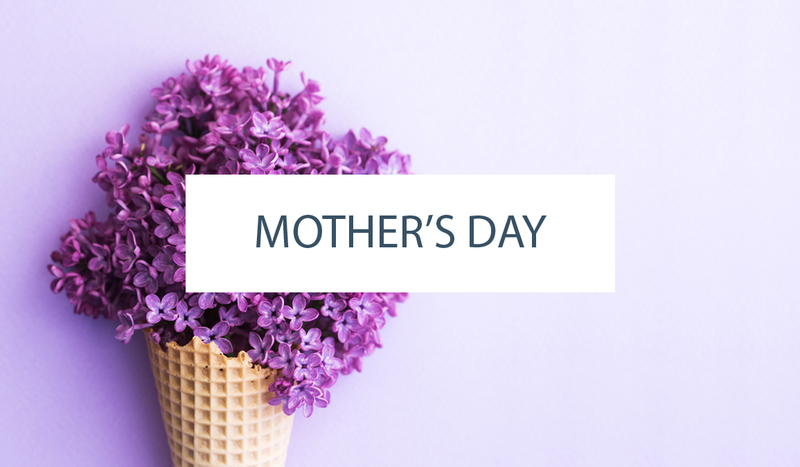 You better loosen your suspenders because we’re moving on to the dessert table! 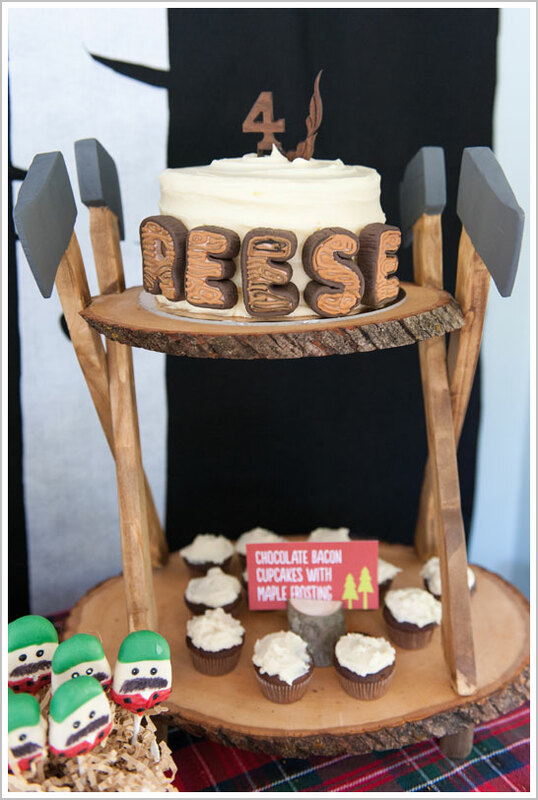 Featuring a rustic cake on a two-tiered wooden stand, complete with life-sized axes. 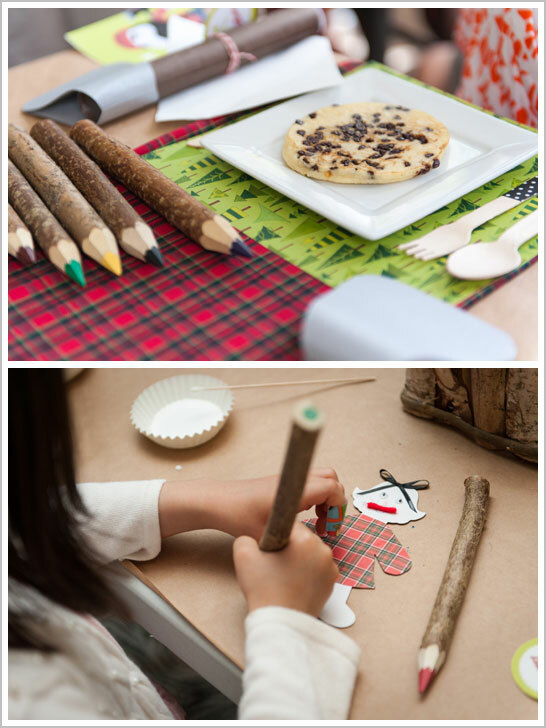 Plus adorable lumberjack cake pops and tree bark butter cookies. 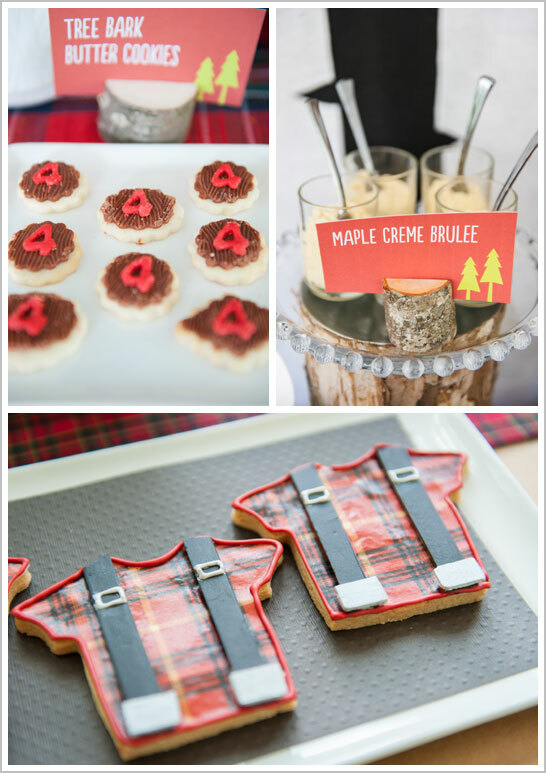 Not to mention the incredible flannel shirt cookies and maple-infused sweets! 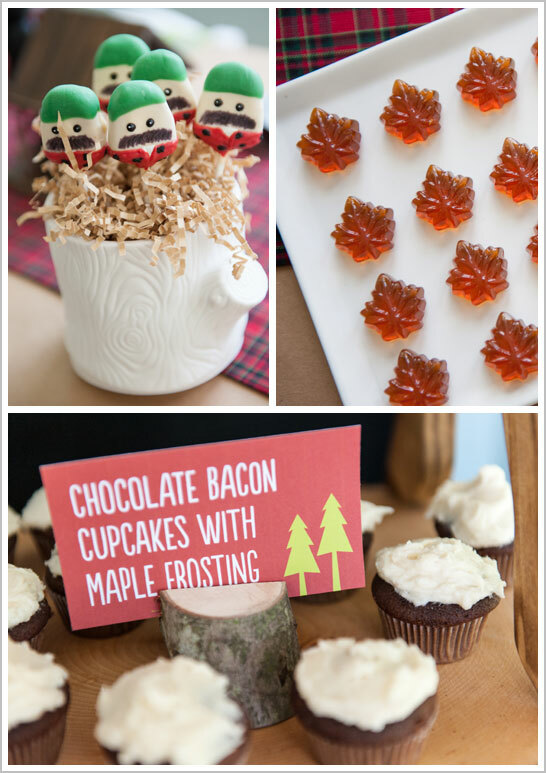 Yummm, maple. And bacon!! 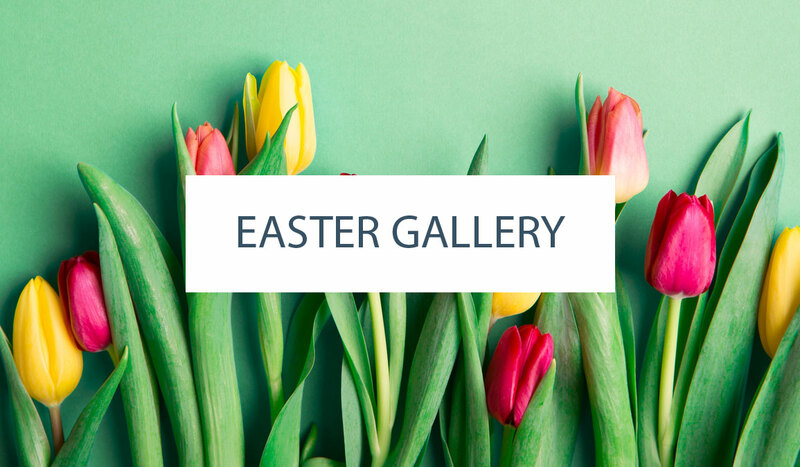 Between the homemade pancakes (some with chocolate chips and bacon), the crafts, storytime and a musician…. the kids had a blast! Pretty sure this couldn’t be a cuter party if it tried. Super cute! I love all the details, activities and the cake stand is genius! what an interesting party theme. Very creative use of props and colors. Love it. Incredibly creative! Love the attention to detail! WOW! What an adorable theme! So fun and love all the clever details! So original, I have never seen this theme before. Love it! Where did you find those adorable Honey Bears?! I love this! What was inside of the favor boxes? Where did you get the black bear drink containers?